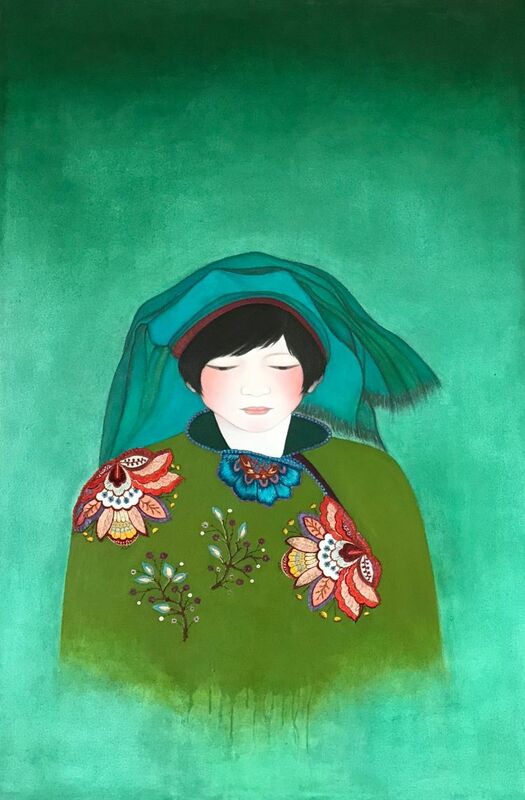 China girl with green background. China girl. Mixed media, painted silk embroidery, oil, tempera on canvas. W 86 x H 130 x D 4cm.